Event Medical Services - Diabetes Type 1 or 2, do you know the difference? Event Medical Services – Diabetes Type 1 or 2, do you know the difference? Type 1 and type 2 diabetes have different causes. Whilst both type 1 and type 2 diabetes are characterised by having higher than normal blood sugar levels, the cause and development of the conditions are different. Event Medical Services – Diabetes Type 1 or 2, do you know the difference? 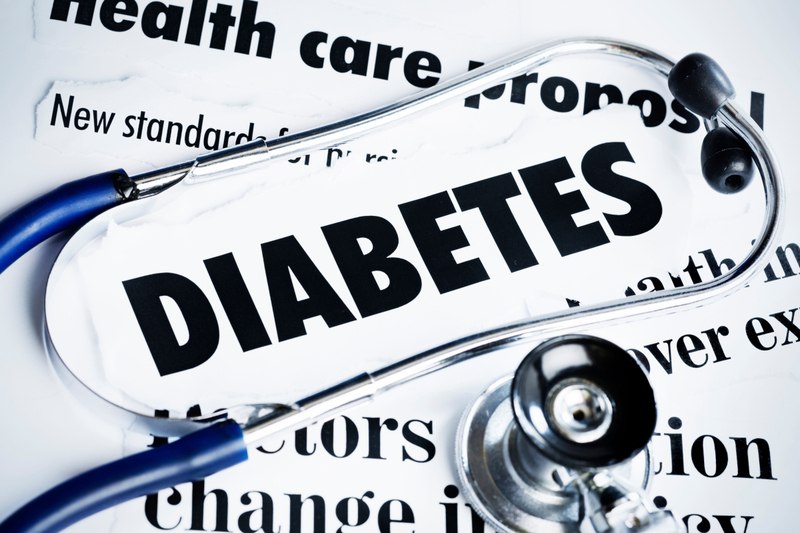 It’s not always clear what type of diabetes someone has, despite what many people think. For instance, the typical assumption is that people with type 2 diabetes will be overweight and not inject insulin, while people with type 1 diabetes will be, if anything, underweight. But these perceptions just aren’t always true. Around 20% of people with type 2 diabetes are of a healthy weight when diagnosed, and many of them are dependent on insulin. Similarly, people with type 1 diabetes will in some cases be overweight. Because both types of diabetes can be so varied and unpredictable, it’s often difficult to know which type of diabetes someone has. If someone is overweight have they got Diabetes? It’s not safe to assume that an overweight person with high blood glucose levels has type 2 diabetes, because the cause of their condition might in fact be attributable to type 1. In some cases, when the type of diabetes is in doubt, your health team may need to carry out specialised tests to work out which type of diabetes you have. This way, they can recommend the most appropriate treatment for your diabetes. Common differences between type 1 and type 2 diabetes. Despite the uncertainty that often surrounds a diagnosis of diabetes, there are a few common characteristics of each diabetes type. These differences are based on generalisations – exceptions are common. For instance, the perception of type 1 diabetes isn’t strictly true: many cases are diagnosed in adulthood. This information should be seen as a rough guide to the differences between type 1 and type 2 diabetes, rather than hard and fast rules. Type 1 diabetes is an autoimmune disease, which means it results from the immune system mistakenly attacking parts of the body. In the case of type 1 diabetes, the immune system incorrectly targets insulin-producing beta cells in the pancreas. Nobody knows why this occurs, or how to stop it. The immune systems of people with type 1 diabetes continue to attack beta cells until the pancreas is incapable of producing insulin. People with type 1 diabetes need to inject themselves with insulin to compensate for the death of their beta cells. Everyone with type 1 diabetes is insulin-dependent. Type 2 diabetes is different. The autoimmune systems of people with type 2 diabetes don’t attack beta cells. Instead, type 2 diabetes is characterised by the body losing its ability to respond to insulin. This is known as insulin resistance. The body compensates for the ineffectiveness of its insulin by producing more, but it can’t always produce enough. Over time, the strain placed on the beta cells by this level of insulin production can destroy them, diminishing insulin production. Low sensitivity to insulin: The more excess body weight we carry, the less sensitive we are to insulin. Being insensitive to insulin means insulin doesn’t reduce blood glucose levels as much as it should. People with low insulin sensitivity often need to be injected with insulin to avoid hyperglycemia. Beta cell failure: If you develop insulin resistance, you need more of it to keep your blood glucose levels stable. More insulin production means more work for the pancreas. Over time, the beta cells can become burnt out by the constant strain, and stop producing insulin altogether. Eventually, you can get to a similar situation as someone with type 1 diabetes, in which your body is incapable of producing the amount of insulin you need to keep blood glucose levels under control. Insulin injections are necessary in these situations. https://static.eventsmedicalservices.co.uk/uploads/2016/07/logo.jpg 0 0 James Shemmeld https://static.eventsmedicalservices.co.uk/uploads/2016/07/logo.jpg James Shemmeld2018-07-19 00:01:222018-07-19 00:05:27Event Medical Services - Diabetes Type 1 or 2, do you know the difference?